The ever tall urn from A&B Home is a beautiful outdoor statuary piece. Place outdoor in a garden or on a Grand entry porch to add sophisticated style and appeal. 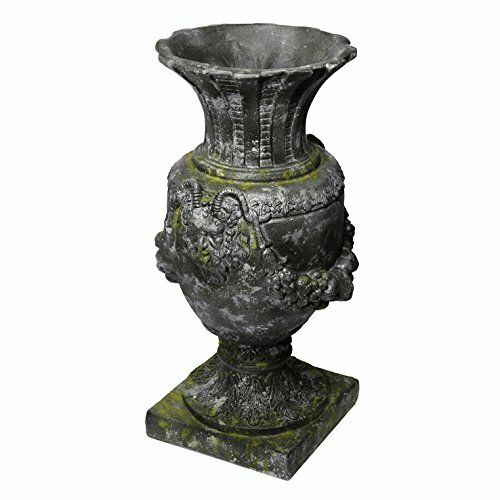 The ever tall urn features a weathered look and a slate gray coloring. The ever tall urn works beautifully on it's own or to showcase plants or greenery. Made of magnesium, inorganic and fiber. Measures 18.5"L x 18.5"W x 35.4"H.